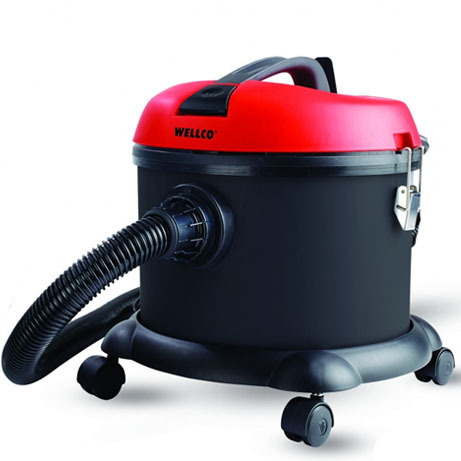 This Wellco Vacuum Cleaner features a bagged cylinder and is suitable for home or work use. 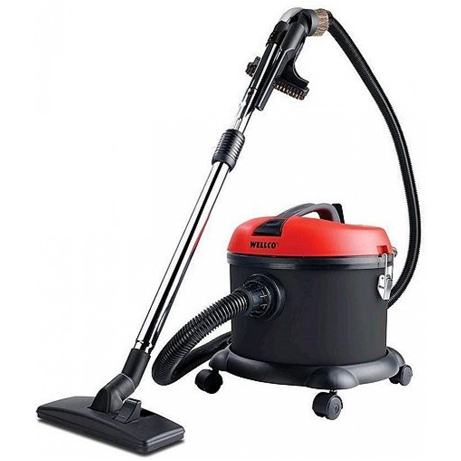 Boasting a Large 15 litre container capacity, a removable cloth filter and a 2.5m hose, this vacuum cleaner is perfect for use in large areas. the lightweight unit is easy to carry at just 4.8kg. It includes a combination floor tool, crevice tool, upholstery brush, round dusting brush and 3 filter-flo microfibre dust bags that all fit nicely into the a tool caddy for easy storage. If you’re looking for a lightweight, versatile and eco-friendly vacuum cleaner, then we have just what you’re looking for. It’s suitable for any floor surface, including hard floor, carpets and rugs. Thanks to its massive 15 litre tank you can clean your home top to bottom several times without having to change the bag! Its ‘B’ rated energy efficient rating offers a powerful eco-friendly 1000w clean and has a lengthy operating radius of 13m – meaning you don’t have to keep swapping plug sockets getting the job done in a more timely manner. Complete with a selection of useful accessories and tools, so you have everything you need to hand at all times. Combination Floor Tool – Great for carpet and hard floors, with its hidden set of brushes that can be switched on for use on wooden and laminate floors you don’t have to keep switching the tools over. Crevice Tool – Ideal for cleaning difficult to reach areas, such as skirting boards & between furniture. 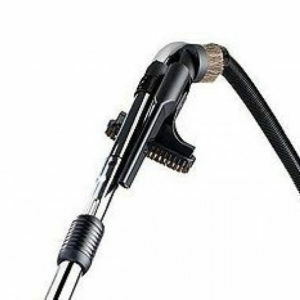 Upholstery Brush – Helps keep your upholstery clean and looking like new it features a slide-on brush for deep cleaning. Round Dusting Brush – Soft bristles for effective dusting/cleaning of grooves, without damage to delicate surfaces.